When ministry is growing exponentially it is usually a result of a few things: First and foremost, any success and growth is the work of Christ accomplishing His goal of building His church. Second, ministers are willing to obey Ephesians 4:12 and embrace the role of equipper rather than trying to do it all. Third, growth is often the result of strategic vision casting, planning, and execution of those plans toward that vision (again – not apart from Christ’s work – but in following His lead). Fourth, and finally, exponential growth happens as a result of effective discipleship. The group’s ministry or Sunday school lacks clear direction. The emphasis on the worship gathering minimizes all other programs. Evangelism is more focused on inviting people to church than taking the gospel to the community. While there are more ways weak discipleship can be diagnosed in a ministry or church, the truth is strong discipleship can lead to exponential growth. Churches that make disciples who make disciples will explode simply as a result of multiplication. 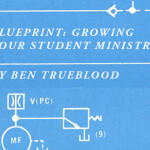 But the discipleship must be more than a program or a time slot. It must be intentional. It must be Christ-centered. And it must be gospel-focused. The Beginning, The Way, The Call, The Truth, The Life, and The Mission. Whether or not your church uses The Disciples Path, there should be some clear way for your students, especially new believers, to understand and embrace the Christian life. It is through this process that they will develop as disciples. Rather than potentially spending years trying to establish a clear understanding of God’s Word and the life it leads believers to live, students can quickly develop that understanding and step into the mission He has called them to: impacting the world for the sake of the gospel. That is truly where exponential growth begins. Nothing can grow the Kingdom faster than followers of Jesus obeying His command to go and make disciples. The approach of larger gatherings to extend invitations to more and more people can be effective at the first phase of the process, but growth will always stagnate and be limited by the event-driven strategy. 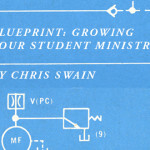 When effective discipleship happens, it grows beyond a building and a strategy. Whether you use something like Disciples Path, or another means by which you equip your people to understand and pursue God’s mission, make sure you focus on what matters most. Exponential growth that matters for eternity and impacts the present is grounded in the Biblical call to make disciples. Help your students go where Jesus leads, and the growth you experience will be greater than anything you could do on your own.